Building on the traction developed in the 150cc segment, Suzuki has unveiled new versions of the popular Gixxer andGixxer SF at the Auto Expo. While both the Gixxers get rear disc brake, the faired SF also gets fuel injection in addition. Gixxer SF FI is available only in the MotoGP Edition and most probably the carb version will NOT be offered in MotoGP special edition any more. Both the motorcycles also come in new colour options. Gixxer gets Metallic Lush Green with Glass Sparkle Black whereas the SF now comes in Candy Antares Red with Glass Sparkle Black. 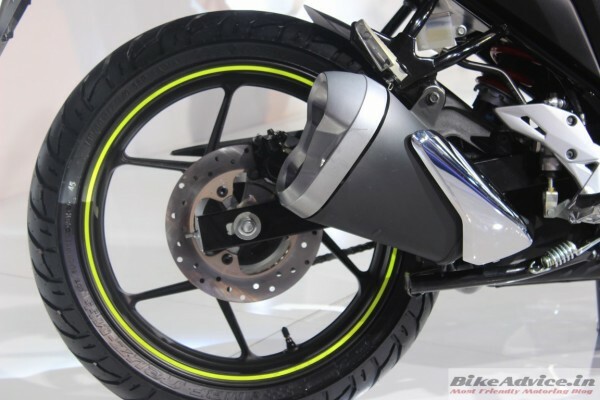 The rear disc brake will be available in all the variants of the naked Gixxer and Gixxer SF. Additional disc brake at the rear will lend better stopping capabilities whereas fuel injection system in the SF should result in crispier power delivery as well as slightly better fuel economy. No official specs have been shared so it is not confirmed if SF FI will get any power increment. The carb version itself was a wonderful piece of engineering and we expect the fuel injected Gixxer to add more spirit to the ride. For motorcycle newbies, fuel injection system electronically monitors and alter the fuel air mixture ratio as per the need. This allows the engine to maintain optimal combustion and thus linear power delivery and slightly better overall efficiency. 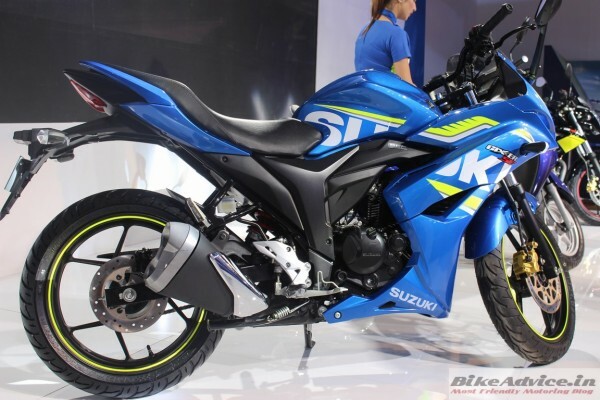 Suzuki has not shared the prices and availability details of these variants yet but they should be available very soon.